이 프로그램은 가족 자원 봉사자가 진행하는 무료 도보 투어 프로젝트입니다. 잘 훈련된 가족 자원 봉사자가 당신을 한국의 현지 문화와 삶으로 안내 할 것입니다. 모든 테마 코스는 가족 자원 봉사자가 직접 디자인했으며, 당신을 숨겨져있는 서초의 골목 구석 구석으로 이끌 것입니다. This is a free walking tour project by family volunteers. well trained family volunteers will guide korean local culture and life for you with a good hospitaity. 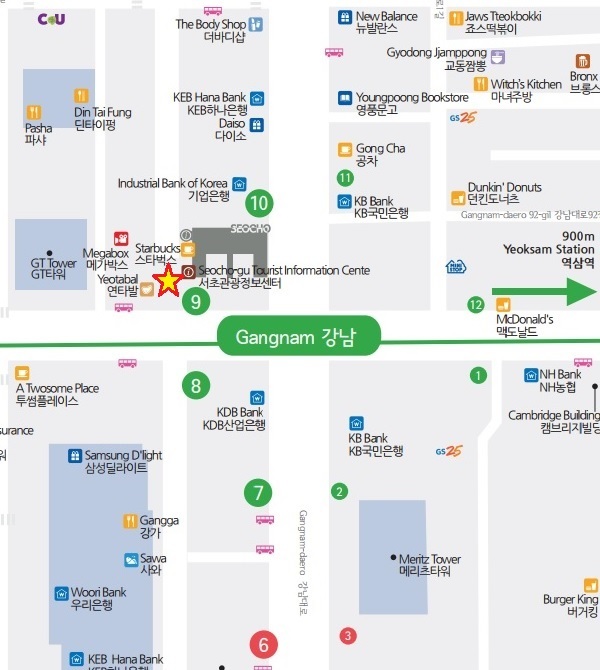 Every themed courses was designed by family volunteers themselves and they will lead you with stores are hidden behind the alley of seocho.